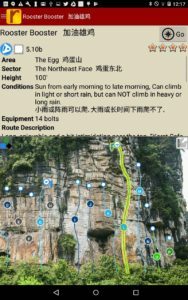 The Yangshuo Rock digital APP produced in conjunction between Andrew Hedesh and Rakkup.com incorporates the best rock climbing within 15km of Yangshuo, China. 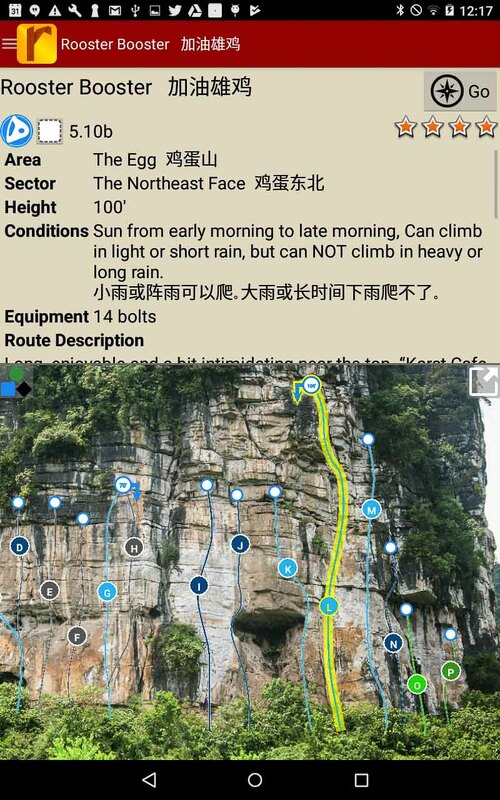 This APP is an extension of Andrew’s past four years in which he researched the nuances of navigating through the Yangshuo countryside and every detail of 750+ routes included in the recently released paperback book Yangshuo Rock - A China Climbing Guide. 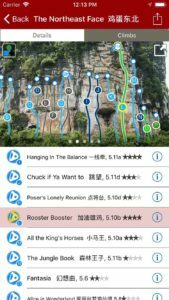 The Yangshuo Rock Digital APP is a wonderful companion or stand-alone product for every climbers’ need while visiting Yangshuo. 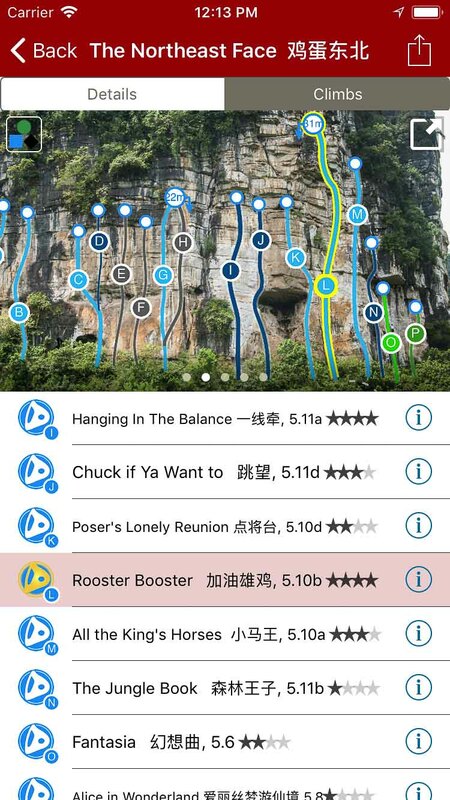 With exception to travel information and the historical timeline, the Yangshuo Rock Digital APP has everything else including plenty of local flair and personality. 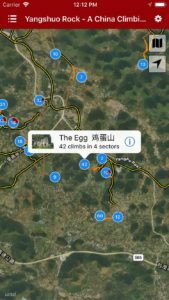 You won’t encounter any trouble while navigating the perils of law-breaking traffic, endless rice fields, nor the maze of similarly shaped karst towers to arrive at the climbing crags of your dreams. 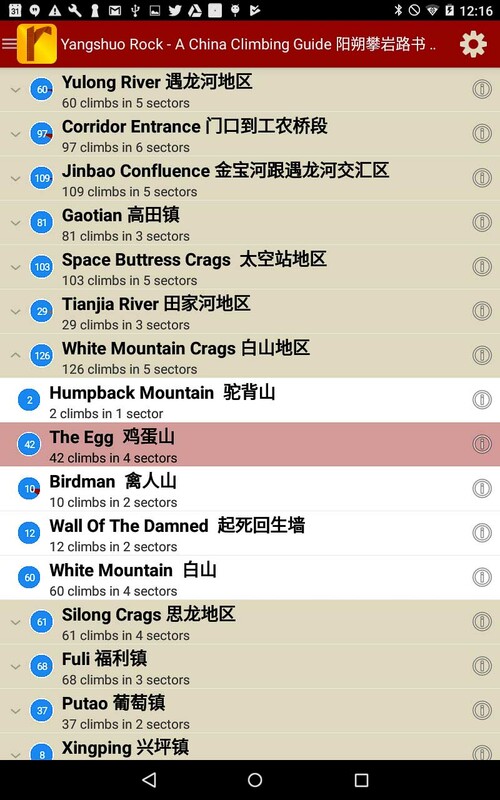 The Yangshuo Rock Digital APP will be continually updated with lesser known crags, new routes, and current development projects in an effort to create a complete guide totaling more than 60 crags and 1000+ routes. Buy both versions of the guidebook (print and digital) for only $56.99! 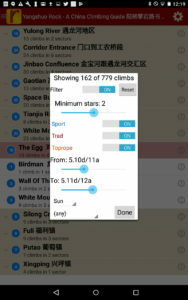 That price includes $7.00 for shipping, meaning that you get the print book for only $34 more! 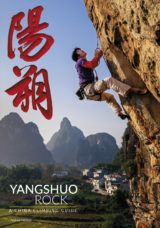 A great deal on a beautiful guidebook! 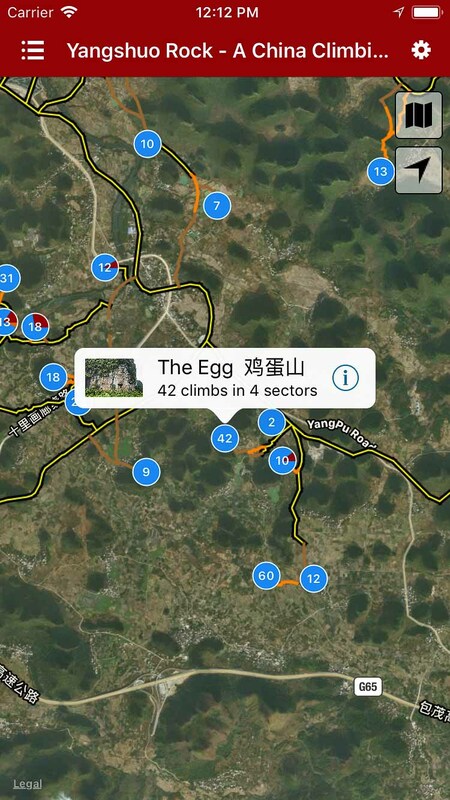 Explore Yangshuo’s climbing via our interactive trail map. 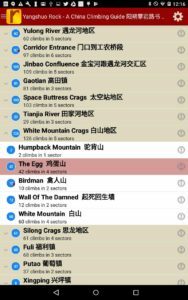 Smart topos find your line. 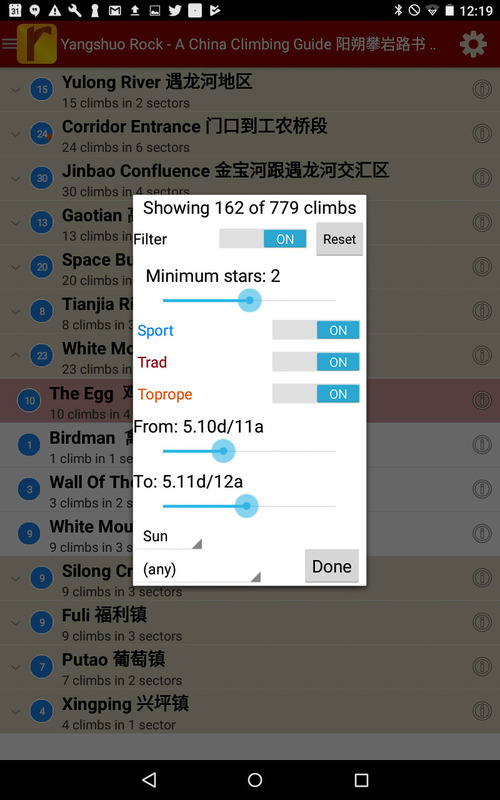 Filter climbs to show only the grades you want to see, or map where the highest quality climbs are located!